On the 11th (Sun), take a stroll through The Rocks, then enjoy some music at Sydney Opera House, and then take a stroll through Darling Harbour. For traveler tips, reviews, maps, and more tourist information, go to the Sydney trip planner . The Route module shows you travel options from your home to Sydney. August in Sydney sees daily highs of 22°C and lows of 11°C at night. Finish your sightseeing early on the 11th (Sun) so you can travel to Broome. 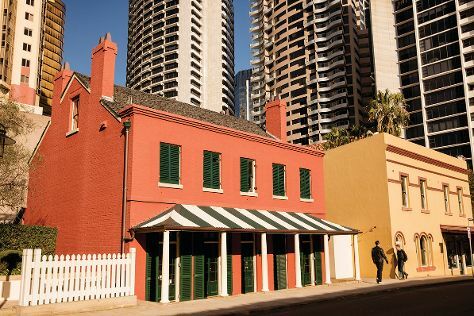 On the 12th (Mon), get engrossed in the history at Broome Historical Museum, admire all the interesting features of Gantheaume Point, then enjoy the sand and surf at Cable Beach, and finally pause for some serene contemplation at Catholic Diocese of Broome. Keep things going the next day: take a memorable tour with Tours and then look for all kinds of wild species at Malcolm Douglas Crocodile Park and Animal Refuge. For traveler tips, ratings, photos, and tourist information, read Broome attractions planner. Getting from Sydney to Broome by flight takes about 8.5 hours. Other options: drive; or do a combination of bus and train. You'll gain 2 hours traveling from Sydney to Broome due to the time zone difference. Traveling from Sydney in August, expect nights in Broome to be a bit warmer, around 17°C, while days are much hotter, around 36°C. Cap off your sightseeing on the 13th (Tue) early enough to travel to Margaret River. 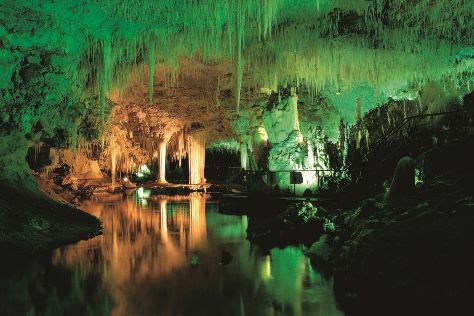 On the 14th (Wed), Head underground at Lake Cave and then indulge your taste buds at Food & Drink. Get ready for a full day of sightseeing on the 15th (Thu): learn about winemaking at McLeod Creek Wines, then visit a coastal fixture at Cape Leeuwin Lighthouse, then Head underground at Jewel Cave, and finally get a new perspective on things with Boat Tours & Water Sports. To see traveler tips, more things to do, maps, and more tourist information, go to the Margaret River trip builder website . Do a combination of flight and bus from Broome to Margaret River in 9 hours. Alternatively, you can drive; or take a bus. Finish your sightseeing early on the 15th (Thu) so you can travel to Alice Springs. Kick off your visit on the 16th (Fri): identify plant and animal life at Alice Springs Desert Park, then take in the local highlights with Walking tours, and then take in the dramatic natural features at The Emily and Jessie Gaps Nature Park. On the 17th (Sat), you'll have a packed day of sightseeing: stop by Alice Springs School of the Air Visitor Centre, then steep yourself in history at Alice Springs Telegraph Station Historical Reserve, then look for all kinds of wild species at Alice Springs Reptile Centre, and finally get great views at Anzac Hill. To find photos, more things to do, where to stay, and other tourist information, use the Alice Springs trip tool . Traveling by combination of bus and flight from Margaret River to Alice Springs takes 9.5 hours. Alternatively, you can drive; or do a combination of bus and train. The time zone difference moving from Australian Western Standard Time to Australian Central Standard Time (Northern Territory) is 1 hour. In August, plan for daily highs up to 27°C, and evening lows to 5°C. 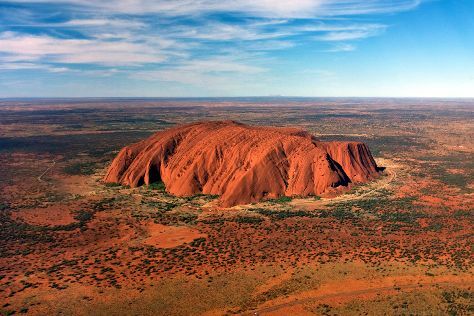 Wrap up your sightseeing on the 17th (Sat) early enough to travel to Uluru-Kata Tjuta National Park. Kick off your visit on the 18th (Sun): trek along Kuniya Walk, then contemplate the waterfront views at Mutitjulu Waterhole, then make a trip to Uluru, and finally hike along Uluru Hiking Path. Get ready for a full day of sightseeing on the 19th (Mon): get outside with Walpa Gorge, take in the awesome beauty at Kata Tjuta, and then get engrossed in the history at Uluru-Kata Tjuta Cultural Centre. To see other places to visit, reviews, where to stay, and more tourist information, read Uluru-Kata Tjuta National Park road trip site . You can do a combination of taxi and flight from Alice Springs to Uluru-Kata Tjuta National Park in 2 hours. Alternatively, you can drive. August in Uluru-Kata Tjuta National Park sees daily highs of 27°C and lows of 6°C at night. Wrap up your sightseeing on the 19th (Mon) to allow time to travel to Cairns. On the 20th (Tue), get interesting insight from Tours. 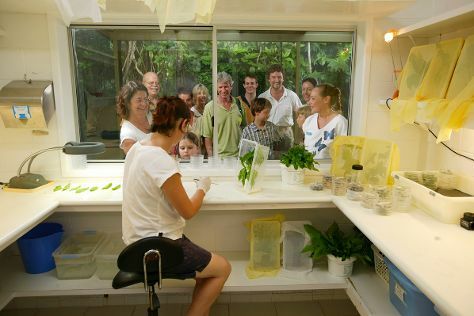 Here are some ideas for day two: look for all kinds of wild species at Australian Butterfly Sanctuary, then enjoy the sand and surf at Trinity Beach, and then enjoy the sand and surf at Palm Cove Beach. To see maps, where to stay, photos, and more tourist information, you can read our Cairns online tour planner . Traveling by flight from Uluru-Kata Tjuta National Park to Cairns takes 5 hours. Alternatively, you can drive. When traveling from Uluru-Kata Tjuta National Park in August, plan for a bit warmer days in Cairns, with highs around 31°C, while nights are warmer with lows around 20°C. Finish your sightseeing early on the 21st (Wed) to allow enough time to drive to Port Douglas. Step off the beaten path and head to Mossman Gorge and Wildlife Habitat Port Douglas. Take a break from the city and head to Safaris and Scuba & Snorkeling. To find more things to do, other places to visit, maps, and other tourist information, go to the Port Douglas holiday site . Drive from Cairns to Port Douglas in 1.5 hours. Alternatively, you can take a bus; or take a shuttle. In August in Port Douglas, expect temperatures between 31°C during the day and 19°C at night. Finish your sightseeing early on the 24th (Sat) so you can travel back home.